(Commission) has chosen to exercise its jurisdiction. had launched in April that year. conduct affecting trade in the EU. directly to the EU institutions. common agreements which meet prescribed criteria. or syndicated lending) may welcome this. security, vulnerable consumers and the environment. 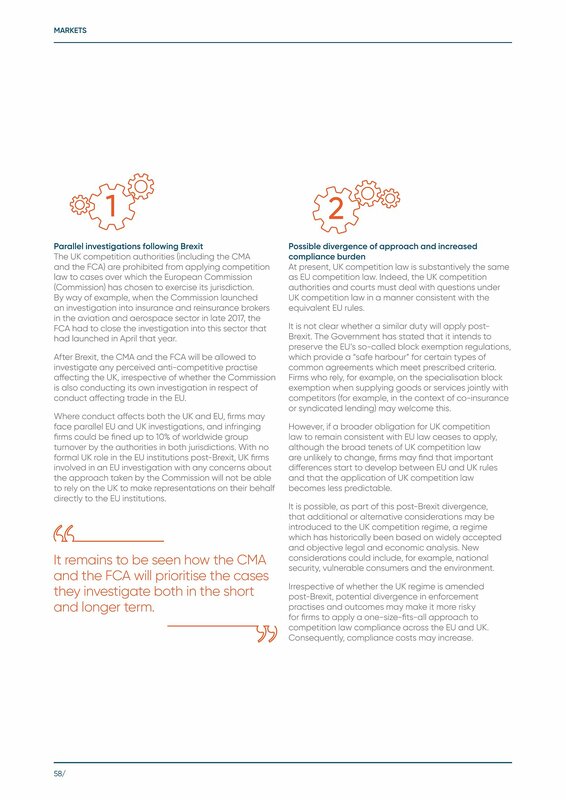 competition law compliance across the EU and UK. Consequently, compliance costs may increase.